As pre-season draws to a close and teams draw up their final plans, tactics and squads, I found myself at a ground that allies three different sports around it. 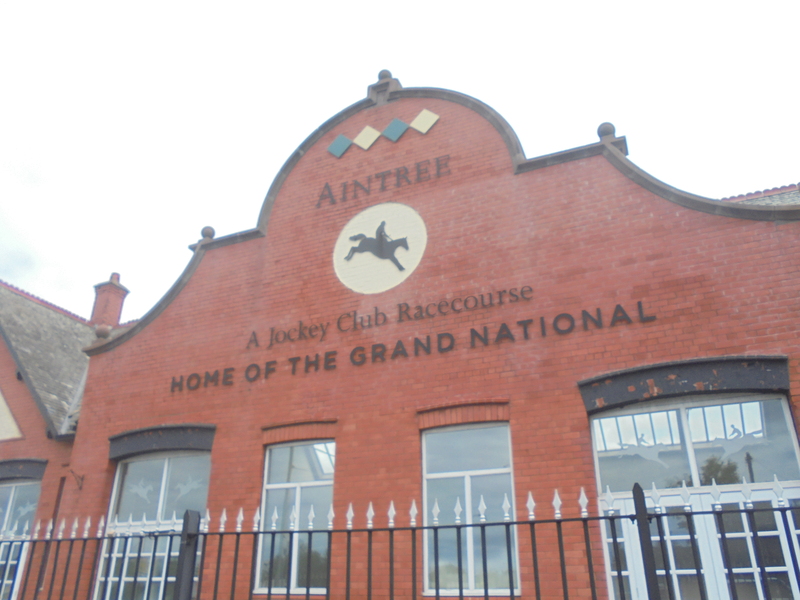 My final friendly, you see, would be played at Aintree Villa’s ground that sits within the Grand National racecourse the village is famed for hosting. 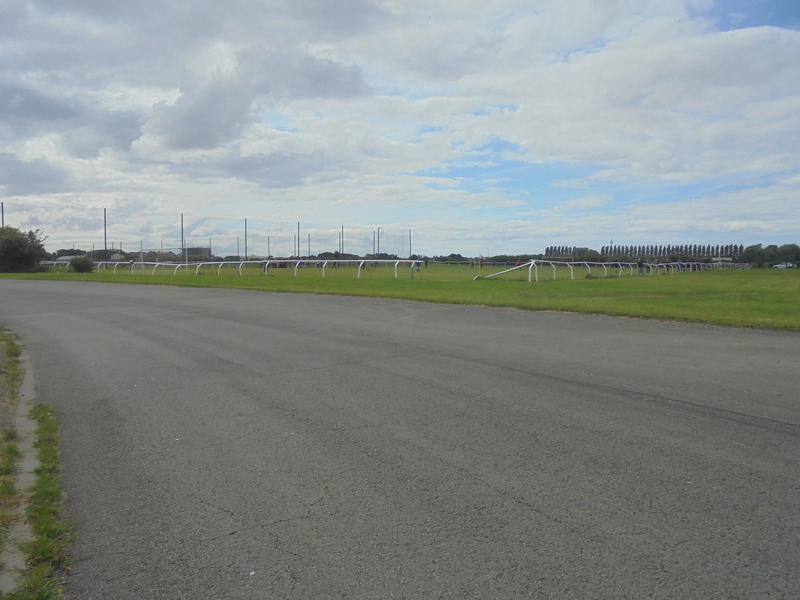 The ground also neighbours the former Grand Prix circuit which flits amongst the course, having hosted the British Grand Prix on five occasions, the last race being held in 1962, though the circuit is still used by local motorcycle clubs and other small motorsport events. Interestingly, one man, Alfonso de Portago, competed at Aintree in both horse and motor racing disciplines. Having competed in the Grand National during his earlier career, de Portago was due to race in the British GP of 1957, but was sadly killed in the preceding Mille Miglia race in Italy. More famed for this than football? Back onto the present day and the events at hand. 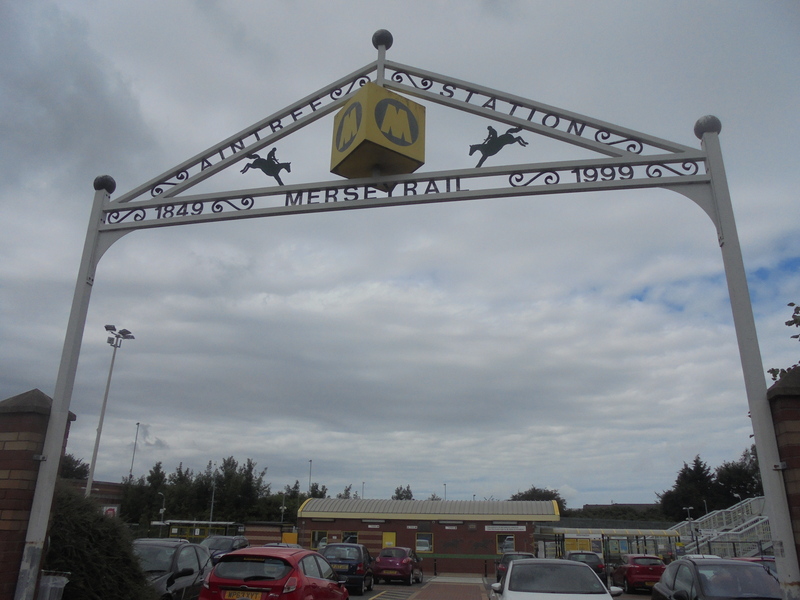 After an uneventful, smooth journey through to Aintree, I disembarked in the shadow of the racecourse’s large stands that loom above the surrounding area. Having arrived bright and early ahead of the 2.30pm kick-off, I reckoned I might as well go and have a look at the ground and confirm the game was indeed on, having had a bad experience here a couple of seasons back when, upon arriving for a scheduled Liverpool Premier League game, there was no-one to be seen in the area. 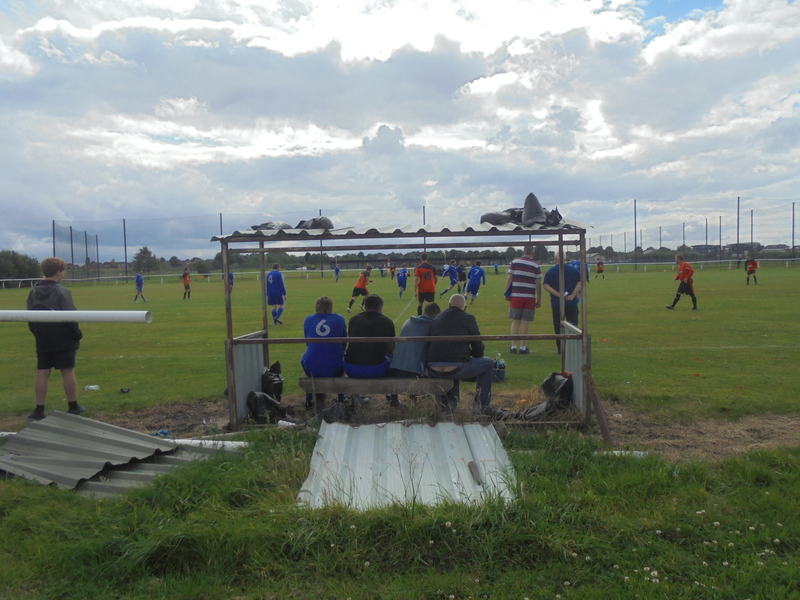 Luckily, this wasn’t the case today – the groundsman’s marking out of the pitch seemingly confirming the game was on – and so attentions turned to other things. You probably know by now what this means. 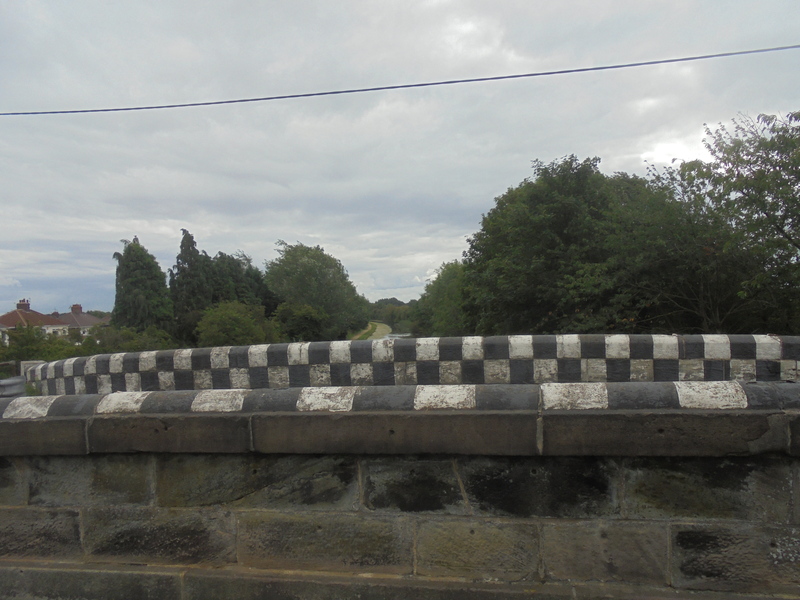 What with being at the Racecourse already, I reckoned I might as well start off my pub visits with the Hungry Horse pub just over the canal bridge at the far side of the course. Arriving at The Blue Anchor, I spotted the Jack Daniel’s cider being advertised outside and, with interest peaked, headed inside and swiftly ordered one. 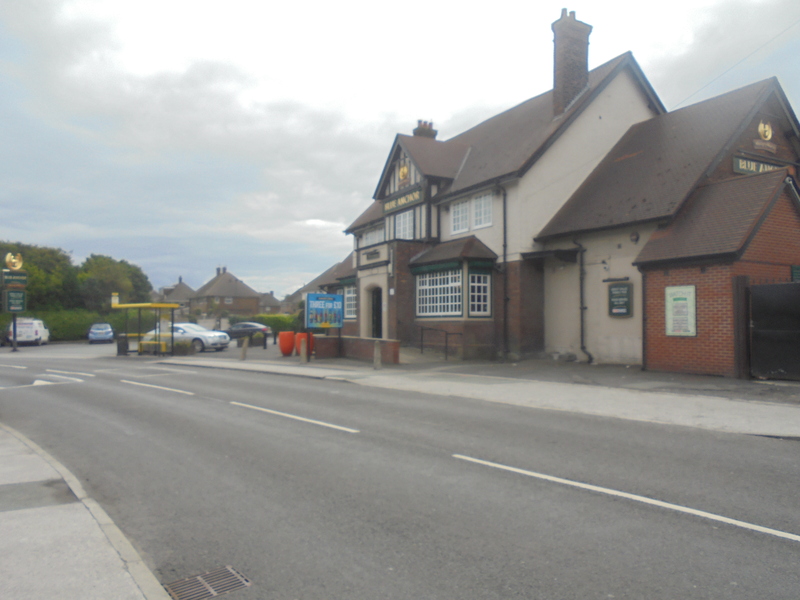 Having been given some explanation of what to expect from the barman (he wasn’t far off, the cider does overcome the whisky by and large), I settled in to get myself going for the walk back along the Melling Road and back to Aintree. 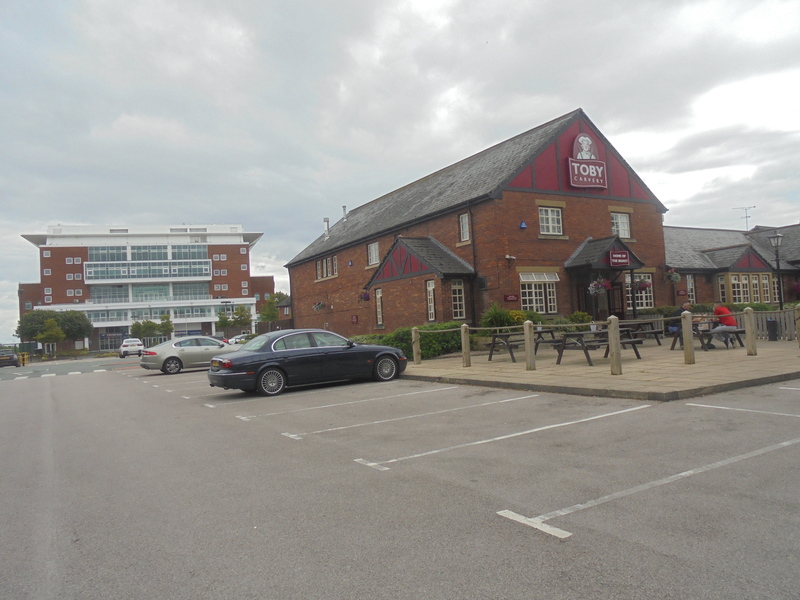 Upon undertaking such a journey for the second time today, I headed down to the Toby Carvery at the entrance to the course itself and found the most surprising thing of the day within. Punk IPA…in a can. Not seen in any pub since my trip to Berwick, this was exciting (yes, I’m that sad) and I quickly had one ordered, despite the guy here being so surprised by my order, I almost ended up with a Nanny State. Apparently, this was because not many ask for it. What are you doing people of Aintree?! 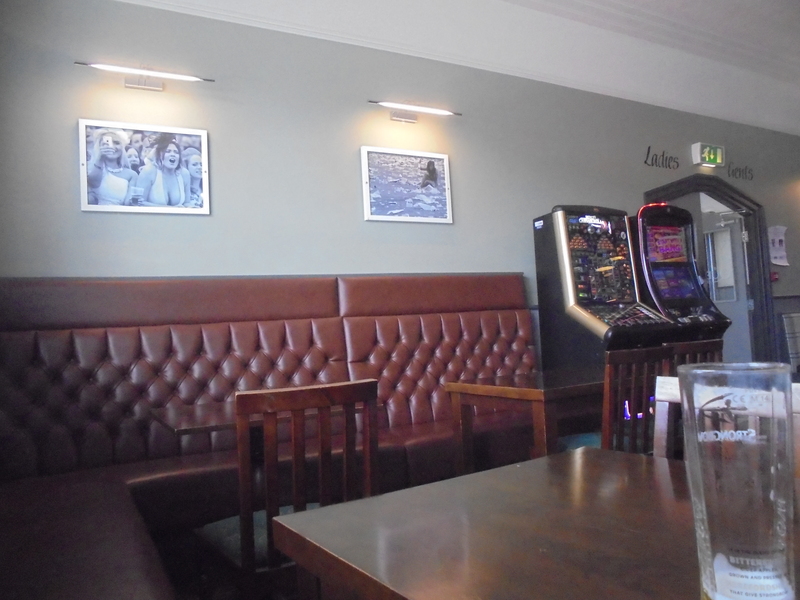 Anyway, I did feel somewhat out of place sitting with my beer around families tucking into their lunchtime carvery, so I quickly finished up and headed back up the road to the very green Queen’s at Aintree. Queen’s is your more standard pub of the area and by far the cheapest. It’s also decorated by some…shall we say…less than flattering pictures of race goers who’ve had too much of a good time! Soon enough it was time to retrace my steps back to the ground. Walking through the course for a third time, I arrived at the gates of the ground to find players arriving in their cars (some half-kitted out already) and some already leaking out onto the pitch. We had a game! For me, though, there was still a little time to spare and, luckily, one last bar to visit. 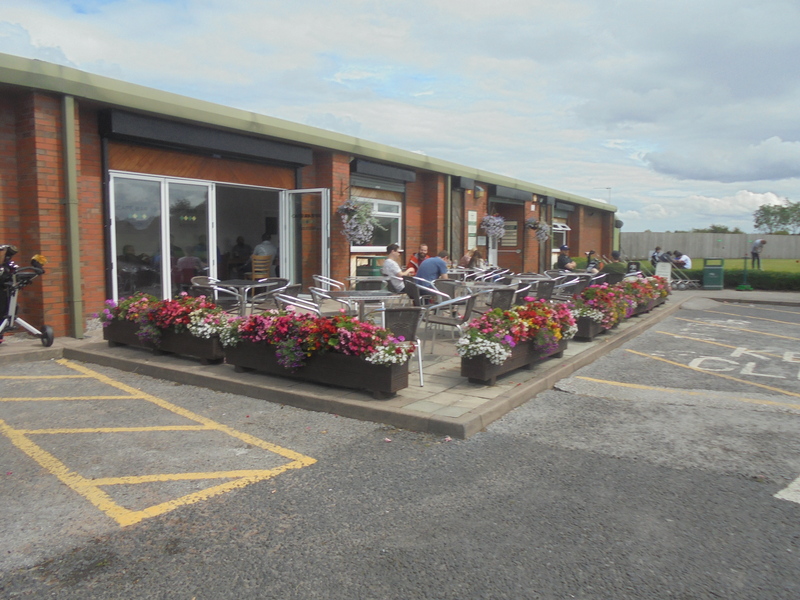 This was namely Café Bar 19 and housed at the rear of the neighbouring driving range/golf course. With only Stella on draught, I thought my luck somewhat out until I read they had pies. Steak pies. And all for a fiver too. Not too shabby to set me up for the Villa derby. Readily refreshed, I returned my plate and glass and off through the gate to the ground. Upon arrival, we were only awaiting the ref and, upon his appearance, we were all set to go. 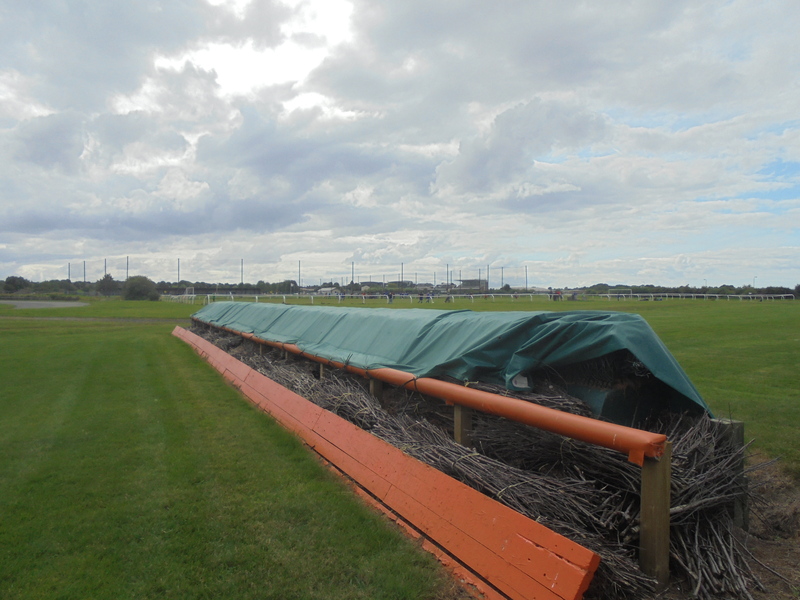 The ground itself is just a barred off pitch using, seemingly, the barriers from the section of course alongside which it sits. 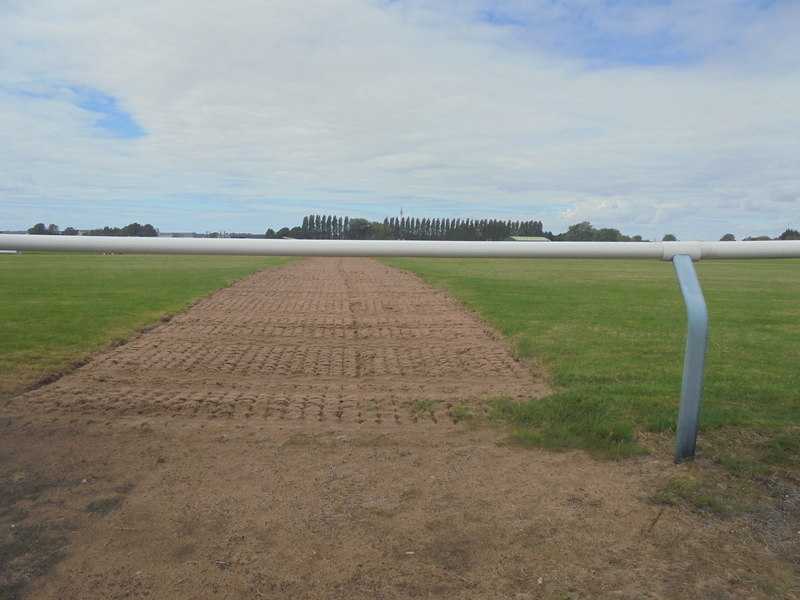 Other than that, there is nothing to report with all around being just grass (though you can stand on the racetrack a fair distance back) and no cover to speak of. 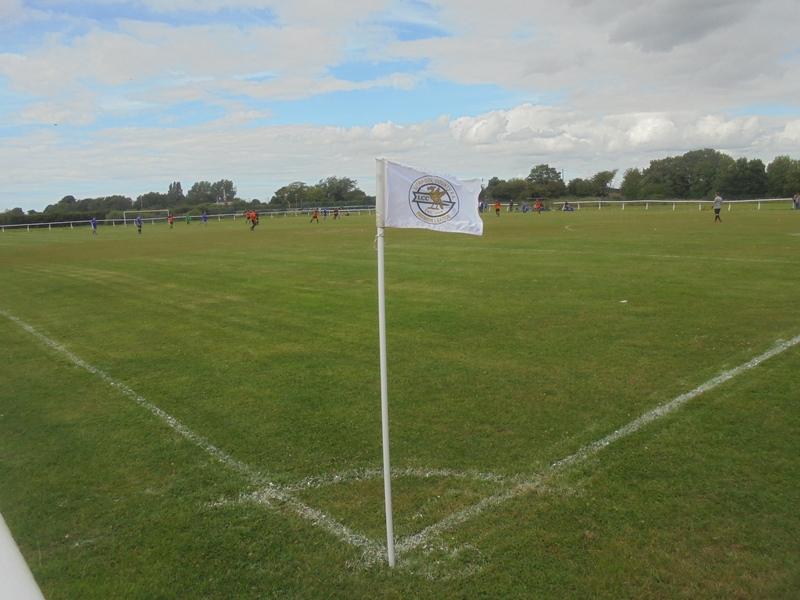 Now, before we get onto the game, here’s the story behind Aintree Villa FC…. 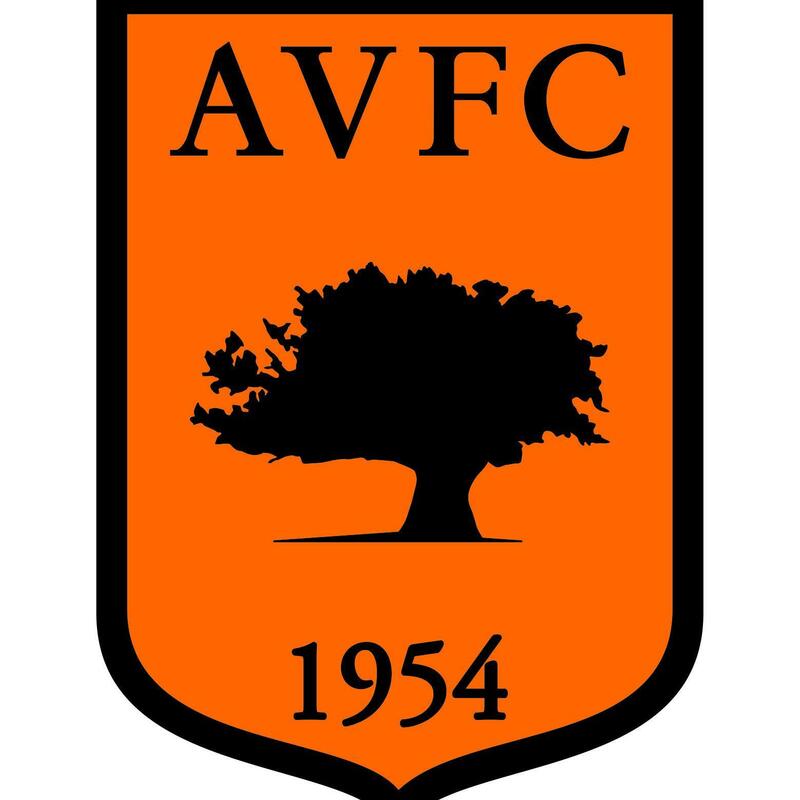 Aintree Villa FC was founded in 1954 and initially competed in the I Zingari Alliance, the lower section of the I Zingari League (which is now part of the LCPL after its merger with the Liverpool County Combination). 1957 saw the club win both the Division 2 & Charity Cup titles here and the following year saw them win the Division 1 whilst retaining their Charity Cup crown. The club’s meteoric rise continued with the Division 3 of the I Zingari League being won in 1959 and Division 2 in 1960. The 1964-’65 season saw a pair of silverware arrive in the form of the I Zingari League Division 2 and the LCFA Junior Cup. The I Zingari Division 1 was then lifted in 1967 and retained the following season as Aintree’s golden (or should that be silver?) start continued on. 1969 saw a highly successful season close with a couple more titles won, namely the I Zingari League Division 1 and League Challenge Cup. 1971 saw the League & Cup double won again, with ’72 seeing the League retained along with victory in the LCFA Amateur Cup. A hat-trick of League titles was secured in 1973, with 1975 seeing it won once again after a season without any first-team honours. 1979 saw yet another league triumph and 1980 saw another Challenge Cup success, which was followed up the next two seasons, the latter year seeing the 1982 LCFA Amateur Cup won for a second time. 1984 saw the “new” I Zingari Premier League title won, along with yet another Challenge Cup success. But it was from here that silverware began to become few and far between compared to previous seasons. 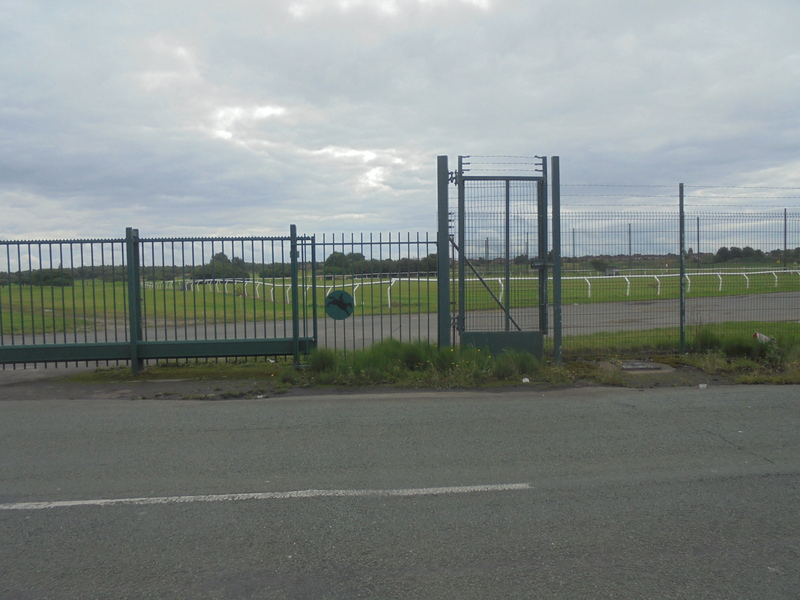 It took until 2002 for the next major honour to arrive at the Racecourse, this coming in the form of the West Cheshire League’s Division 2 title, after Aintree had joined the league in 1999, being promoted from Division 3 in their first season as runners-up. A two-season stay in the Second Division was ended in the best possible fashion, Aintree lifting the title and with it promotion to Division 1. They would go on to remain here through to 2009 when, unfortunately, they had their record expunged and returned to the I Zingari Combination (presumably taking the place of their reserve side(?)). 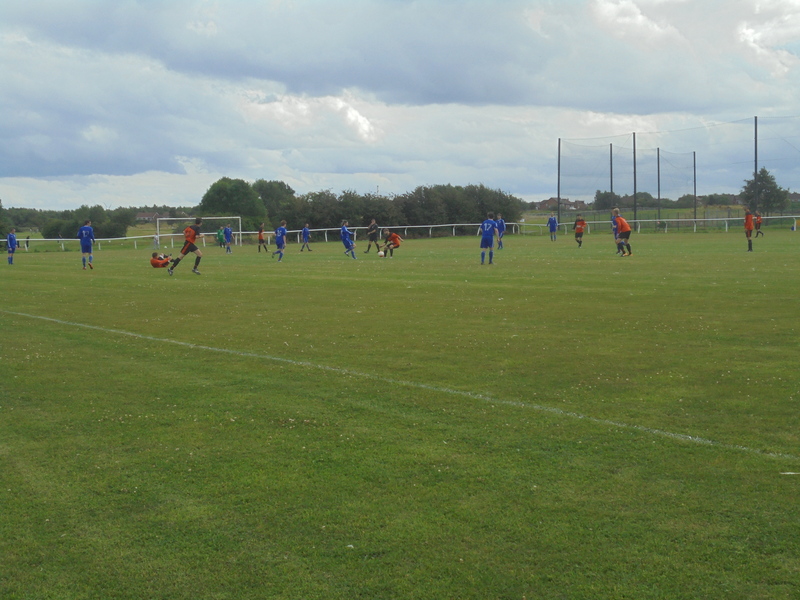 2012 saw the club join the Liverpool County Premier League’s Division 2, where they have competed through to this day, finishing last season in 11th spot out of the 12 teams. The beginning of the game saw little to separate the sides, despite the two division gap between hosts and visitors. But the difference in level told eventually when, around ten minutes in, the East Villa #7 pounced upon a loose ball to fire home, following a decent initial stop by the Aintree ‘keeper. The first-half continued to be a tightly fought affair with little in the way of chances, though this boredom was allayed when I was asked “Are you collecting the balls?”. It turned out this was Dave, the Dad of one of the Aintree players who had mistaken me for a ball collector from the driving range, as I was off considering whether or not it’d be ok to take a pic near one of the fences. The track did seem to be doubling up as part of the golf course though, with many balls being played from off of it, so I figured all must be fair in that regard. Dave went on to tell me about the change-up in the Aintree side for this season and how his son (I think he was in the midfield from memory) is a recent transfer from one of the Ashton Town age group sides. This conversation definitely helped to pass the time, before I left him to his peace and quiet and continued onwards to explore a bit of the Grand Prix circuit. Half-Time arrived too at this point, the score remaining at the solitary goal to nil, though Aintree did have the ball in the net just prior to the whistle, but this was ruled out by the ref, much to the chagrin of the home players. Just before the offside “goal”. The second half was underway after a five-minute half-time, meaning an earlier train back was now on the cards. The ref even went one better than this at the end of the game, only playing 40 minutes. It also gave some of the Aintree players who were unfamiliar with each other the time to meet, with the sub-keeper asking his centre-back “What’s your name?”, before going on to ask of him “Who’s the left-back?”! 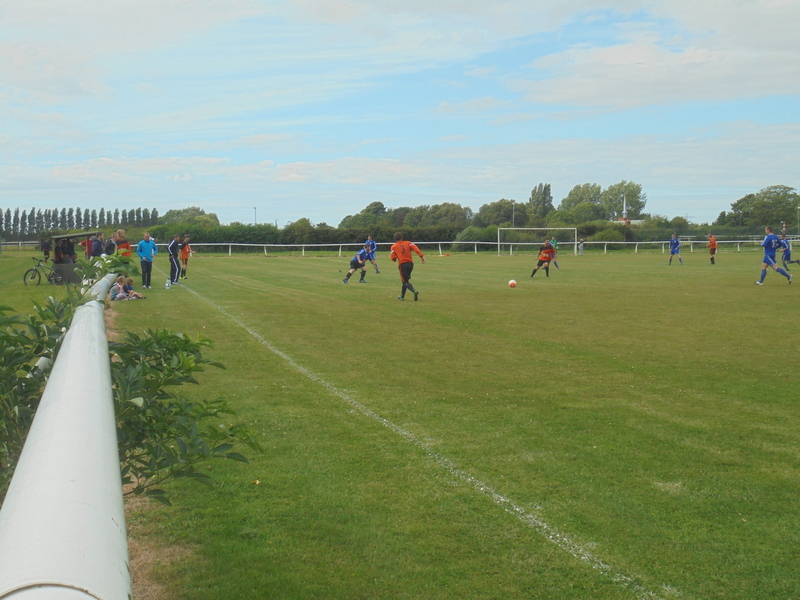 The half was also more of a one-sided affair, with East Villa dominating the final twenty-or so minutes, though Aintree had a good chance to draw level soon after the restart, when a well-placed striker’s header was devoid of a good connection and the resultant shot flew well over. 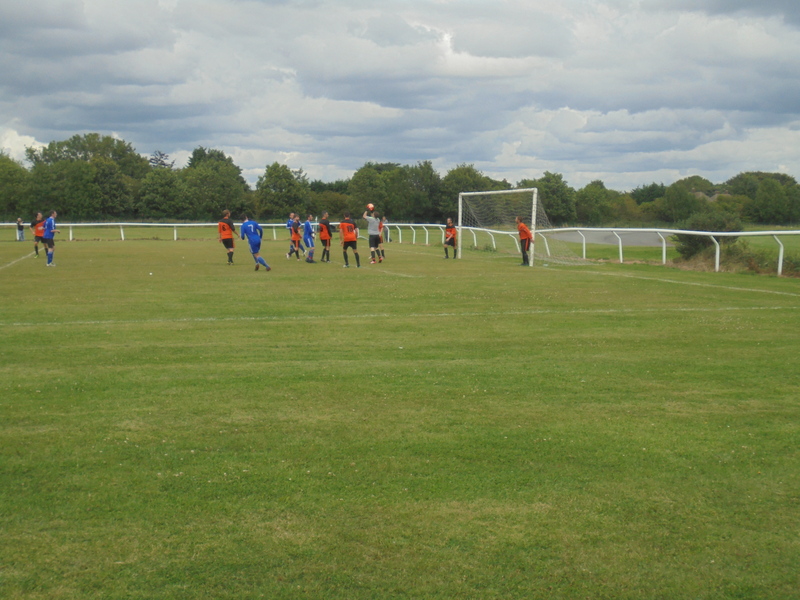 This proved to be as close as the orange-clad hosts would come to a goal, with East doubling their advantage shortly following this; the ‘keeper coming off his line, changing his mind, then finding himself stranded as the #10 finished smartly past him. The next two-goals arrived within five minutes of each other as the game drew towards its conclusion and both went to the #6. 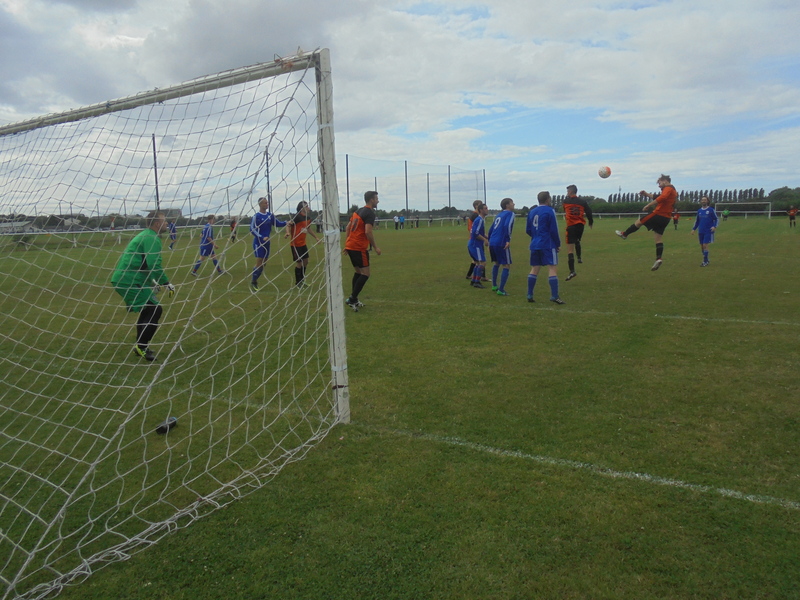 First, he broke clear of the Aintree defence, keeping his cool to slot beyond the ‘keeper,, before following this up by latching onto a lovely chipped through-ball to round the GK and slip the ball in from a fairly acute angle. There was still time for a penalty too with the last kick of the game, though I sort of missed it as I had no idea one was happening having seen nor heard nothing, but I think #11 took and scored it before the ref’s premature ending was blown to signal a good win for the visitors, but a harsh score-line on the hosts who held their own for a good hour. 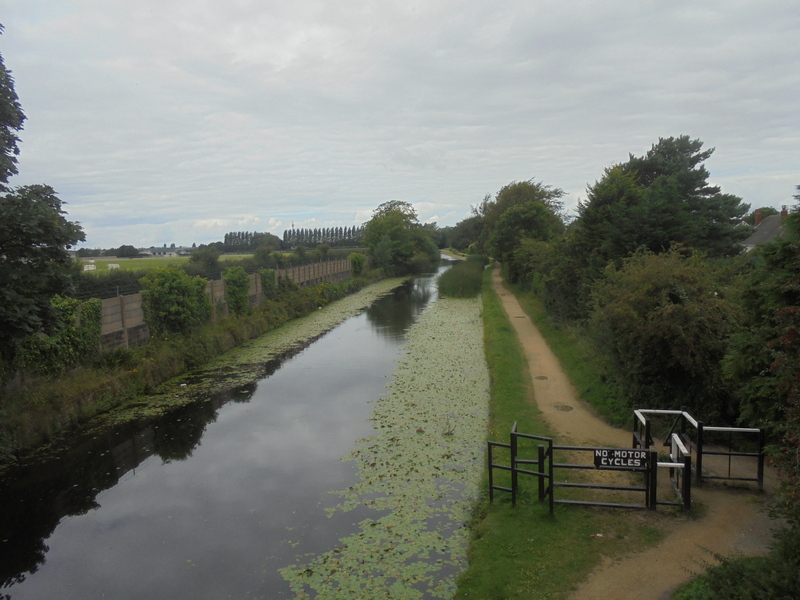 The walk back down the Melling Road was undertaken for the final time and I arrived back at Aintree station just as the train back to Liverpool was rolling into view. Another swift, trouble-free journey back ended the day and thus my friendlies for another season. Probably.